NAZAIRE EUGENE YELLE He was born February 1836 in Canada. 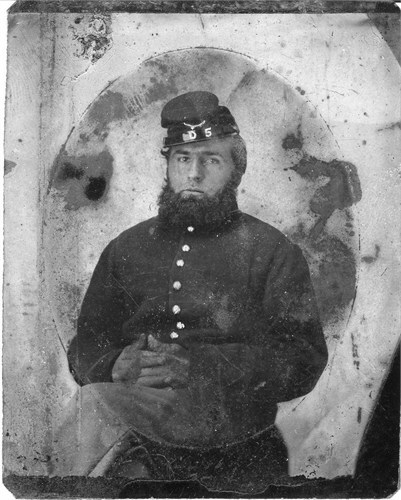 He enlisted at age 27 as a Corporal in Company G, 6th Minnesota Infantry Regiment on 13 August 1862 in St. Paul as a three year enlistment but was mustered out on 30 December 1863. In 1890 he was living in Moorhead. He started drawing his pension on 16 September 1891. He died on 19 april 1896 in Spokane, Washington and is buried in Greenwood Memorial Terrace in Spokane. Burial, Tombstone Picture.